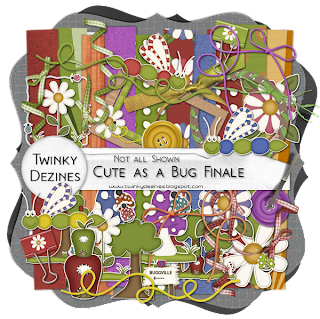 Twinky Dezines: HELLO!! 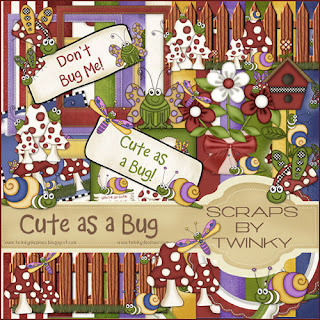 and Cute as a Bug Series Scrap Kit Freebie! HELLO!! and Cute as a Bug Series Scrap Kit Freebie! Apologies to all my followers I feel guilty that its taken so long for me to get back here, and Thank you to you all for still being here! Here they are, links under each Preview, Enjoy! CUTE (as a bug)! Thanks for sharing. 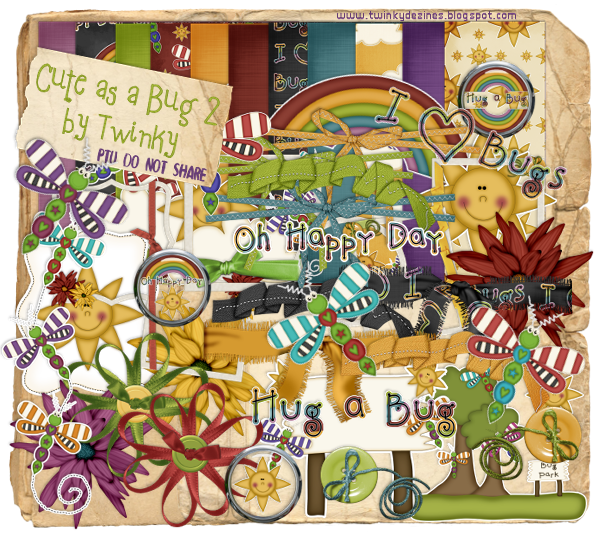 What an awesome kit - thank you so much for sharing. This is a fantastic kit! There is just so much.Thank you so much for sharing so much with us, you are very generous.